On this particular handwriting worksheet you will find three birds sitting on a tree branch. 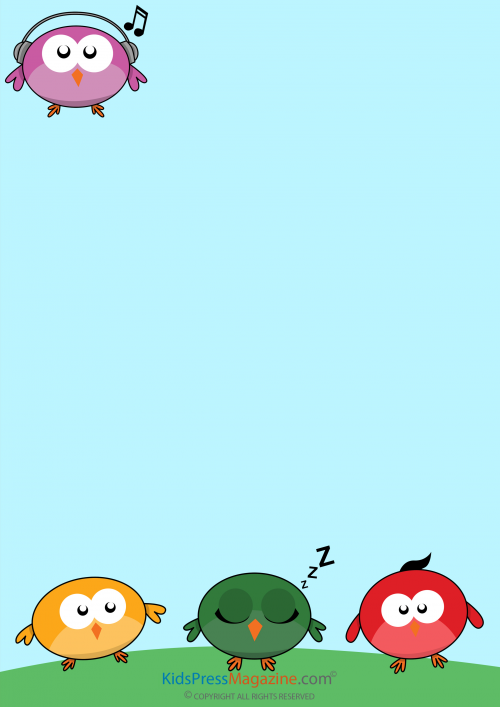 These Angry Birds-inspired birds appear to be perfectly content listening to music, sleeping, and enjoying themselves! Your student is sure to enjoy their whimsical nature. Why is the one bird alone from the other three birds? Create a story. Draw a picture to complete the image given. Should there be clouds in the background? Are there more birds? Add whatever you’d like!